Check out scenes from the October 18, 2018, event at Cradles 2 Crayons in Allston. On October 18, 2018, the Alliance for Business Leadership had their annual Give Back Awards. 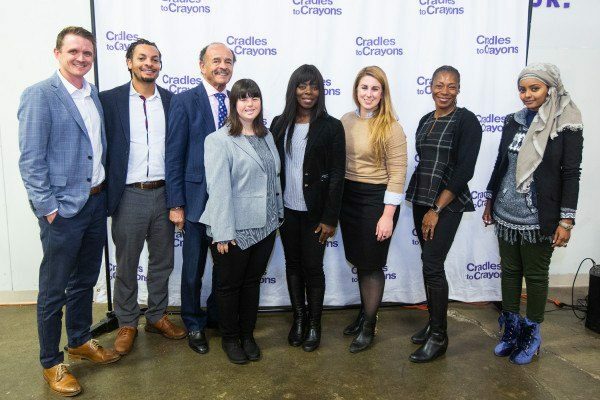 This year’s awards were held at Cradles 2 Crayons in Allston. Rather than a typical gala awards night, this event put participants, mostly CEO’s and business leaders, in Boston to volunteer on several different projects. To learn more visit alliancebl.org/give-back-awards-2018. Continue to Boston Magazine for event photos.